Free onsite surveys where we’ll walk through your space to find out exactly what you need and how we can help from start to finish. Detailed estimates and timely communication by phone and email. Packing materials delivery 2-4 weeks prior to your move date. An on-site English speaking supervisor throughout your move day, accompanied by a team of professional, IOMI-certified, movers and drivers. Protection of furniture to minimize likelihood of damage during transit. Assistance in packing IT equipment, paintings, fragile items and document storage rooms. 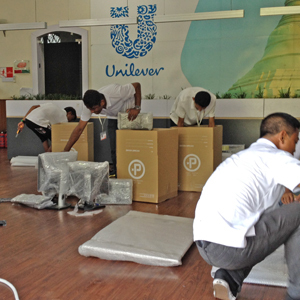 Removal of cardboard boxes and packing material after your staff has finished unpacking. Optional insurance, provided by ITI of Irvine, California. 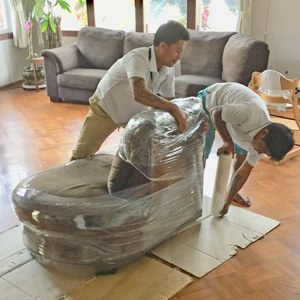 As Myanmar’s only foreign owned independent moving company, we have the experience and professionalism to make house moves smooth and worry-free. Let our team handle your residential move and enjoy VIP service from door to door. Whether you’re in Bahan, Ahlone, Tamwe, Hlaingtharyar or anywhere in between we will create a moving plan that’s right for you. We try to make short work of a long distance. When you move long distances with a company focused on Myanmar, you’re covered in all directions, be it Mandalay, Naypyitaw, Shan, Mon or Kachin. 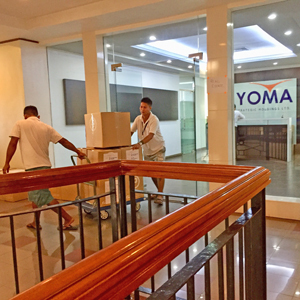 We routinely move properties that originate from Yangon, and can make accommodations for those based elsewhere in Myanmar. 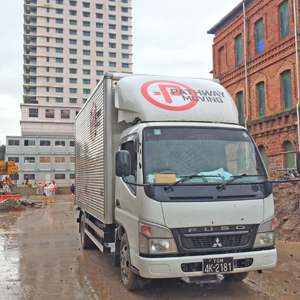 We are a long distance mover with the experience and resources to get you there smoothly, despite Myanmar’s rough roads. Door-to-door attention to detail, including careful inventorying of items before they’re loaded onto our trucks. Status updates throughout the journey, and services customized to your needs as every long-distance move is different. We’ve found one of the greatest ways to build a relationship is to start small. We can arrange a smaller truck and crew size to accommodate all of your “one off” needs. 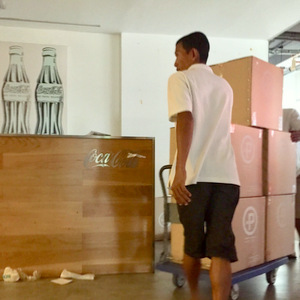 Typical deliveries might include a desk + chair, sofa or small quantities of boxes. We find that when we prove ourselves as being worthy of handling the small things we’re later entrusted with the big things. 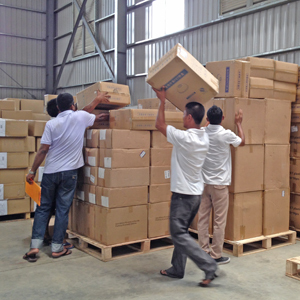 We offer storage in an enclosed Yangon warehouse. All of our storage terms are month to month, with a minimum volume requirement of five cubic meters. We also offer additional storage services such as materials, packing and the transit of goods to and from the facility. Request a free estimate by answering a few questions.